Imagine waking up on sun kissed mornings to the gentle chirping of the birds, echoing the harmonious music of the backwaters of Kerala. If this sounds perfect to you, then Kumarakom is perhaps the best holiday destination for you. One of the most popular tourist destinations in Kerala, a visit to Kumarakom is a definite must-include in your tour itinerary to Kerala. Thus, if you are planning a holiday in Kumarakom, one of the best accommodation options of Kumarakom can be supplied by the various Premium Hotels in Kumarakom. 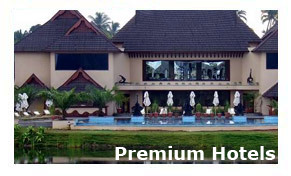 IndiaHotelsandresorts.com offers online room booking at the Premium Hotels in Kumarakom and other Hotels of India.